Observer. Artist. Watercolorist. Newsletter. 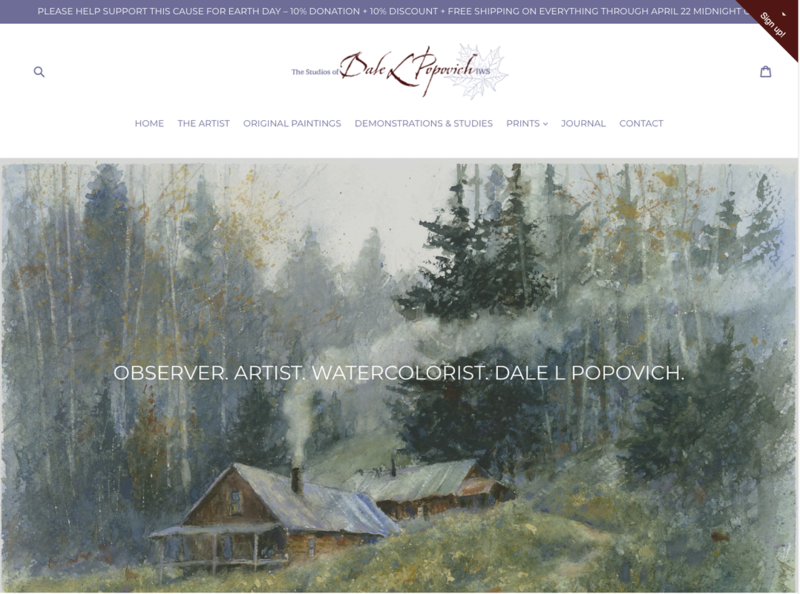 is a creation of Dale Popovich IWS, award-winning painter, watercolorist and teacher who is passionate about fine art, painting and mentoring. With 30+ years of higher education and studio time Dale offers a unique learning experience. Long time instructor at the American Academy of Art school in Chicago, classically trained under one of America's great twentieth-century watercolorists, Irving Shapiro, AWS. Currently, he is co-teaching a Fundamentals course with Robert Krajecki and a Watercolor class at the prestigious Palette & Chisel Academy of Fine Arts in Chicago, Mainstreet Art Center in Lake Zurich, IL and Elmhurst Art Museum.